FreshMenu is taking your palate on a worldwide tour with the FreshMenu Food Festival – giving you the chance to savour global flavours through our international cuisines. Today, brace yourself and get your taste buds ready for a delicious ride on a Tex-Mex cuisine trip; a cuisine that has gained so much popularity in recent times that it has almost become an everyday, on-the-go food for a lot of people, even in India. So come, pile on a range of those burgers, hot dogs, fajitas and several other such delicious food on your plate, for a day filled with American and Mexican flavours. One of the favourites on our menu, this signature bowl comes with a cottage cheese steak slathered with refried bean sauce; fajita spice flavoured veggies for that dash of spice, all served with cilantro rice topped with sour cream. Experience a mouthful of Mexican flavours with every bite that’s bound to set your taste buds on fire! Treat yourself to a heavenly blend of sweet and sour with this flavourful mix of fresh and wholesome ingredients. 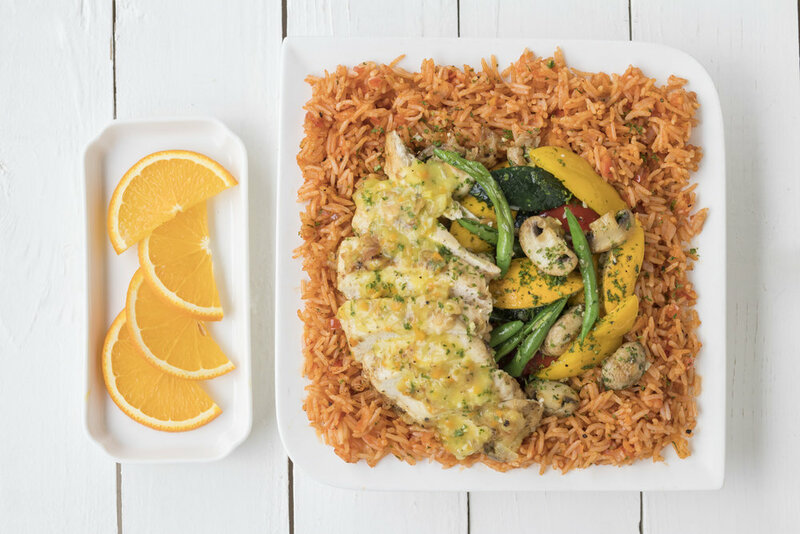 Chicken breasts marinated in orange juice, further reduced in that very same tangy sauce; served on a bed of mixed veggies and rice that is sure to have your taste buds galloping for more. Slurp your way through this bowl full of Mexican goodness. Loaded with the power of Mexican spices, vegetables, beans and smoked chicken, this delicious blend of everything good is sure to leave you smacking your lips for more. Calling all spice lovers! This dish is definitely going to have you doing the Habanero. Chicken supreme tenders are generously sprinkled with the glorious Mexican special Habanero chili, golden crumb fried, and drizzled with a creamy cheese sauce. All this served with a luscious red salsa, leaving you with a fruity heat and a definite desire for more. What are you waiting for? Grab this opportunity to taste the world at the tips of your fingers, with just a click of your mouse or a tap on your screen. Come over to FreshMenu and fulfil your foodie desires. We’d love to have you. While you’re at it, we’d love to share in this experience with you. Go on ahead, try these Tex-Mex delights and take some mouthwatering pictures of the dishes, and post it on Instagram. Don’t forget to tag us! In the hope that you have enjoyed this Tex-Mex journey as much as we have, do stay tuned for another great day of Italian food coming your way tomorrow. Ciao!